The idea of transferring the National Bison Range back to tribal control is gaining traction . 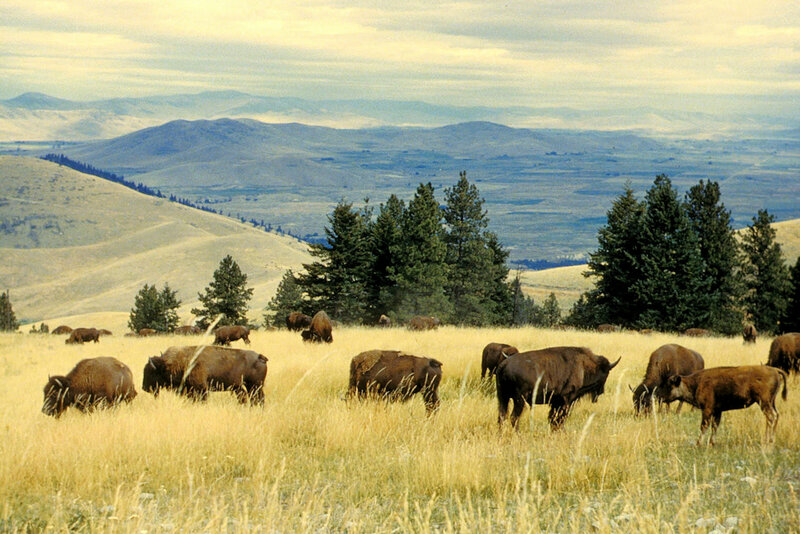 . .
More than a century after the federal government removed more than 18,000 acres of land on the Flathead Indian Reservation to establish the National Bison Range, the Confederated Salish and Kootenai Tribes are working to return the wildlife refuge to tribal management. Such an action would require federal action, and last month the tribes released a legislative proposal that would remove the range from the National Wildlife Refuge System and place it back into federal trust ownership for the tribes. Nearly 150 people attended a Tuesday night meeting at the Salish Kootenai College in Pablo, where representatives from the tribes’ natural resources and legal departments were on hand to discuss the proposal with community members and explain the draft legislation.